Above from top: A quieter Paris, in the wake of protests. 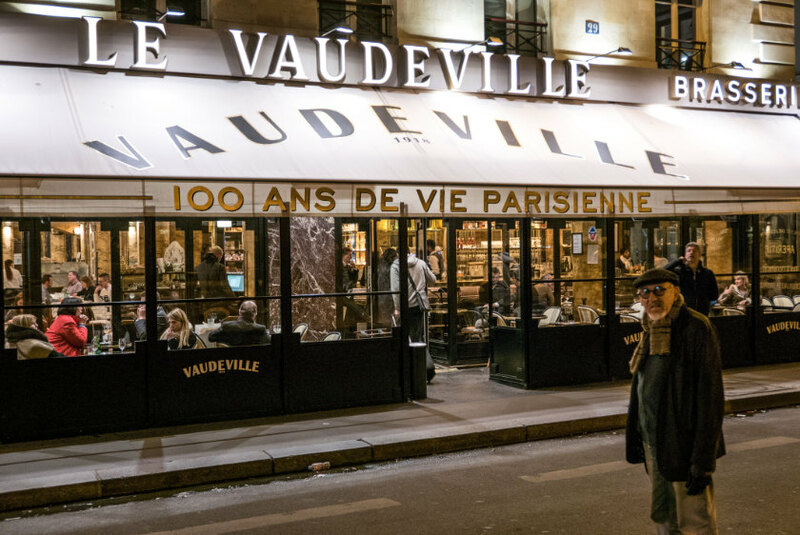 The author outside the Vaudeville restaurant. A broken window at McDonald’s. Stanley Moss is travel editor of Lucire. What a surprise to discover Place de l’Étoile nearly deserted during a visit to Paris two weeks ago. It proves you shouldn’t always trust the alarmist impression dispensed by the news. Only a week earlier the gilets jaunes had gone on a serious rampage in the nearby fashionable neighbourhoods, burning cars, breaking windows, trashing posh apartments. They even raided and robbed a Bulgari store and looted a Foquet’s location, where they carried off the contents of its wine cellar (called it a ‘revolutionary tax’) and torched the place. 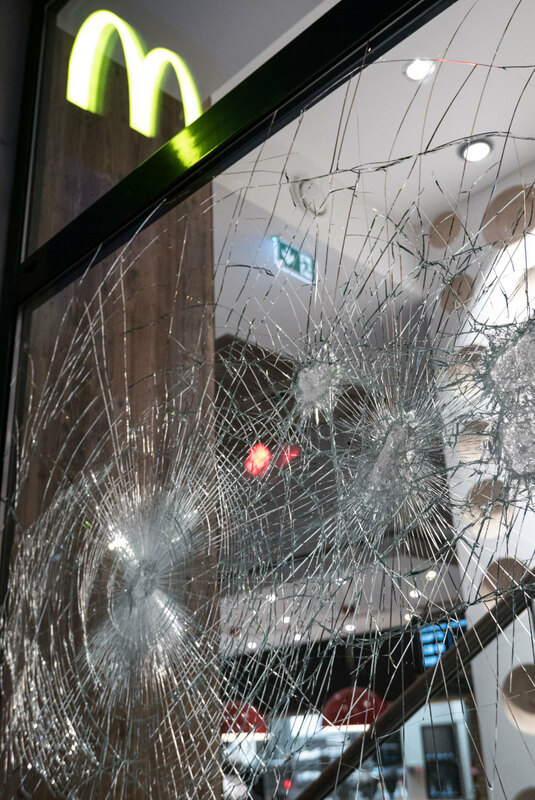 Many luxury brand storefronts and bank locations were subsequently boarded up, cracked windows remained everywhere. The following weekend, Macron ordered out 5,000 troops armed with water cannons and banned demonstrations on the Champs-Élysées. This explained an unexpectedly tranquil city. Saturday is the day this rebellious movement schedules their disruptions. Instead, the bad guys took their mischief to Toulouse and Montpelier and caused trouble there. Nobody sanctions the violence. The polarity of opinion varies depending on who you talk to. Some locals think complaints about high prices, low wages and excessive taxes are justified. Others say it’s hooligans bussed in from as far away as Romania. Tourism has taken the hit and the cost to the local economy must be significant. The sad reality is that a mob of fewer than ten thousand temporarily paralysed a favourite destination. But like they say in the movie Casablanca, we’ll always have Paris. 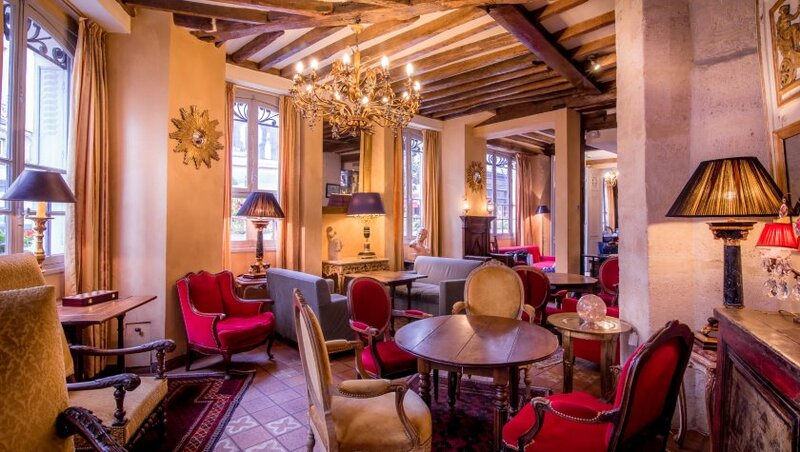 There’s a brand new 25-room luxury boutique hotel named Flanelles at 14, rue Brey in the 17th, just off the Avenue Wagram. Très cool. Très élégant. 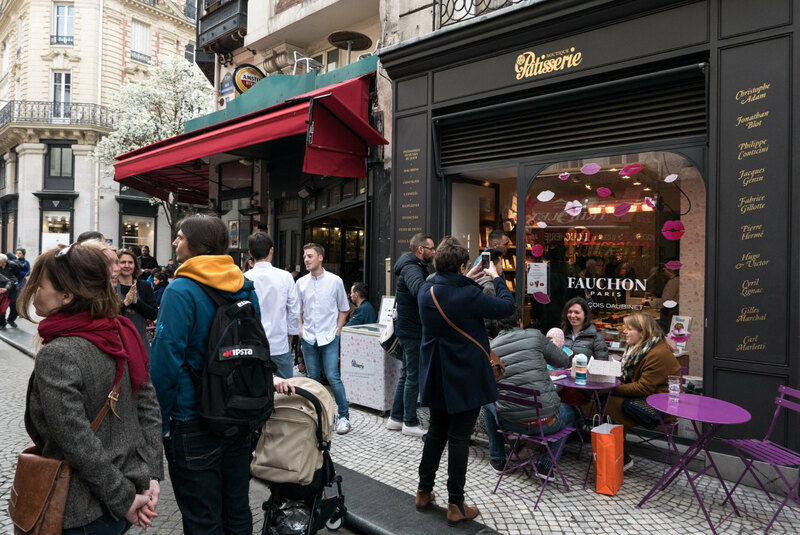 Opened in November 2018, it takes its name from flâneur, the French noun recollecting Baudelaire, which means aimless stroller, idler, lounger, saunterer, or the one we prefer: loafer. If you’re a frequent traveller, you’re going to love the habitual wanderer’s attitude this hotel radiates. With its small, cozy and relaxed ambience, it’s a place Josef Beuys would appreciate for the warm soft greys and flannel surfaces. 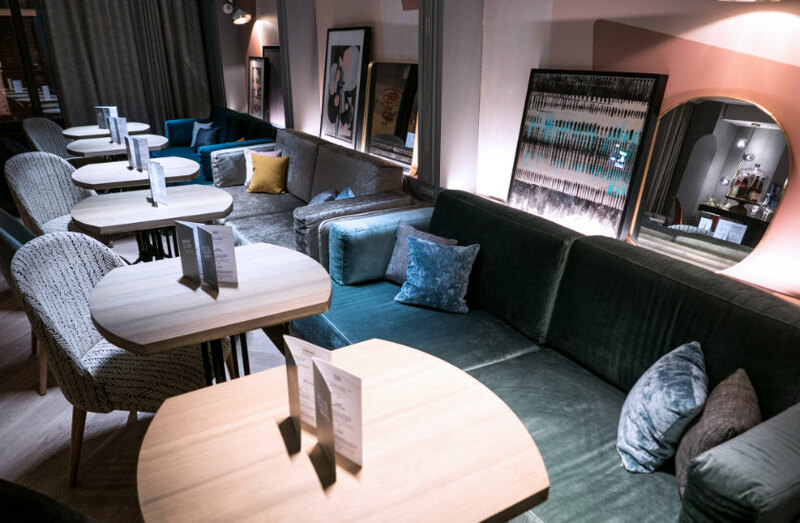 Décor designed by the same team responsible for Le Narcisse Blanc (earlier reported here), this hotel is less about showy style or ostentation, and more about classic simplicity, oriented to travellers who prefer to find their own way with casual flexibility. There’s no fake storytelling to be found here and no presumption that it’s like home. 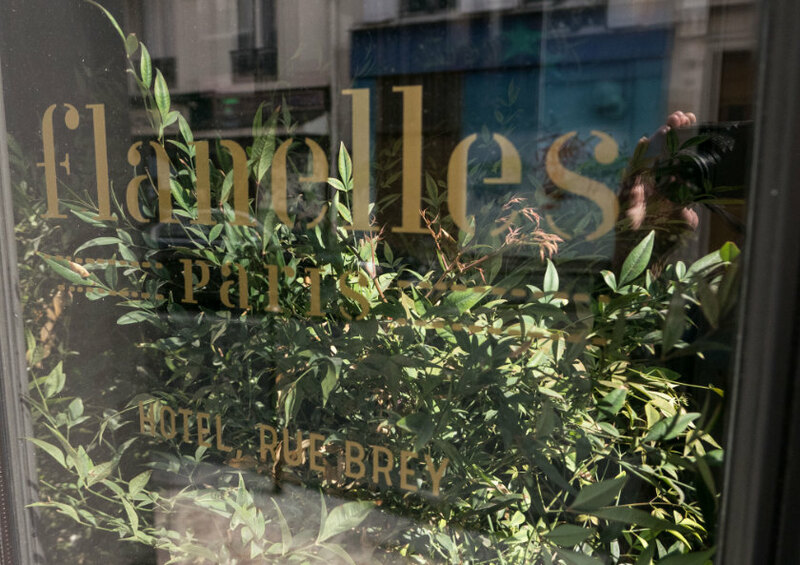 Flanelles is more sensitized to the way we travel nowadays, the inconveniences of unstructured hours, the necessity for personalization, tailor-made experiences, guest-centric accommodation, and welcoming public spaces. No garish signage festoons the property’s façade, instead a discreet logo inset at the doorstep, a message delivered the moment the automatic door whooshes open upon your arrival. It signals respect for your privacy. You’re a road warrior, not concerned with what is fashionable. You don’t specify how old your fellow guests are, and you don’t want to join a private club. You simply want your buffet–breakfast served daily until 11 a.m., or until the civilized hour of 1 p.m. on Sundays. You appreciate a Portuguese team member, Ana, who notices that you mentioned you liked pastel de nata, and who brings you home-made ones for your breakfast the next morning. You want a changing room with a shower in case you arrive early. If you’re leaving early, you want a place that will pack you a takeaway food bag for that irritating 5 a.m. departure. 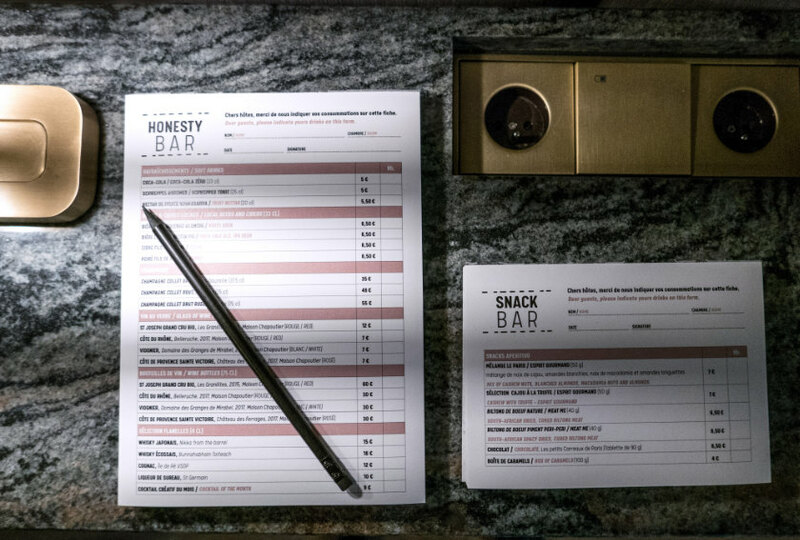 You want an honour bar with crazy choices, the occasional salty snack offered in the afternoon, and a DIY complimentary bar from 6 to 8 p.m. where you can craft a cocktail on your own behind the bar with the recipe of the week offered by the hotel. 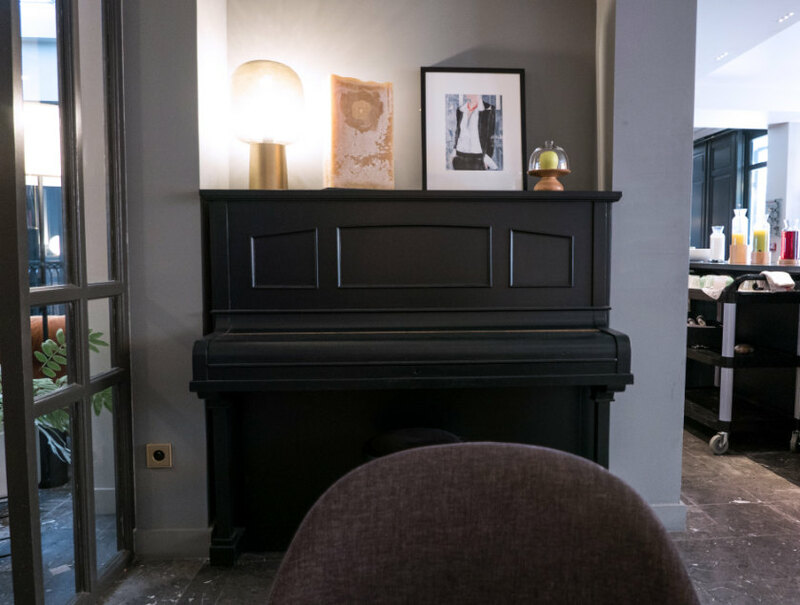 You’ll totally dig the vintage upright piano in the breakfast room alcove, where a guest casually noodles ‘Aux Champs-Élysées’ while you sip your smoothie-of-the-day. 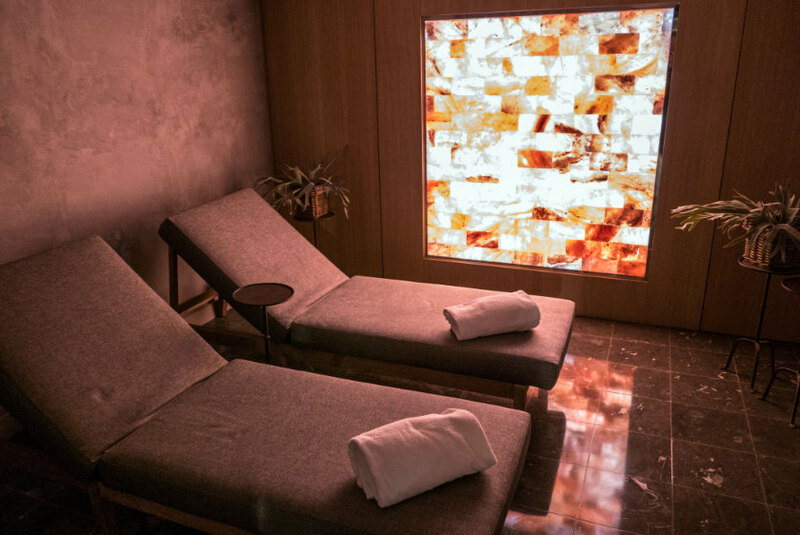 And you’re certainly gratified by a sauna–salt room, super-groovy treatment room and steam room on premises. Not to mention the complimentary shine and multilingual 4G loaner phone generously offered. You’ll no doubt oversleep in your comfortable bed, but that’s what happens to global gypsies. Thank goodness for the brekkie, which can be requested until 5 p.m. Above, from top: Discreet signage at Flanelles. In the lobby. An honour bar with a decent selection. An in-suite panama hat for loans. Upright piano in the breakfast room. The salt room. Flanelles’ breakfast set-up. The breakfast room. Splashing out in the Atelier suite at Flanelles. 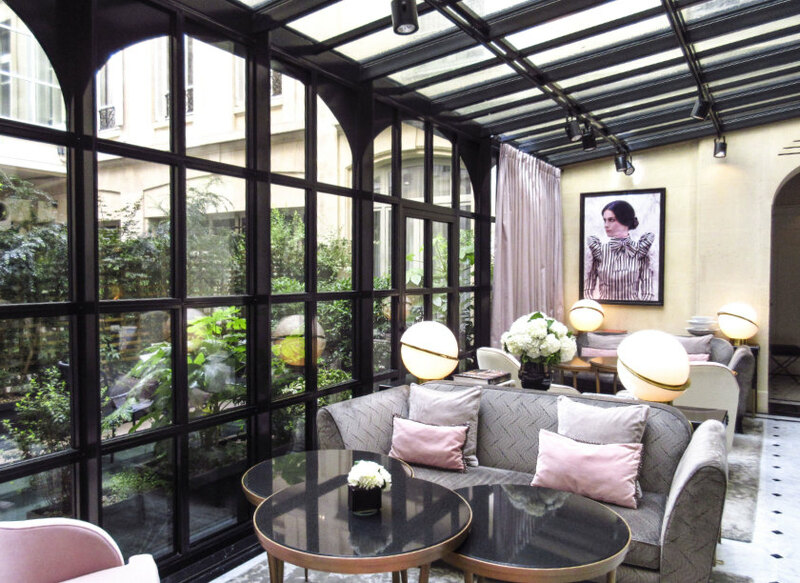 Designers Laurent and Laurence have made certain you enjoy the fresh air of Paris through windows that really open and are garlanded by soothing grey flannel curtains. Their high-lighting IQ is present everywhere. Tired of loud, repetitive marketing messages on your flat screen television? 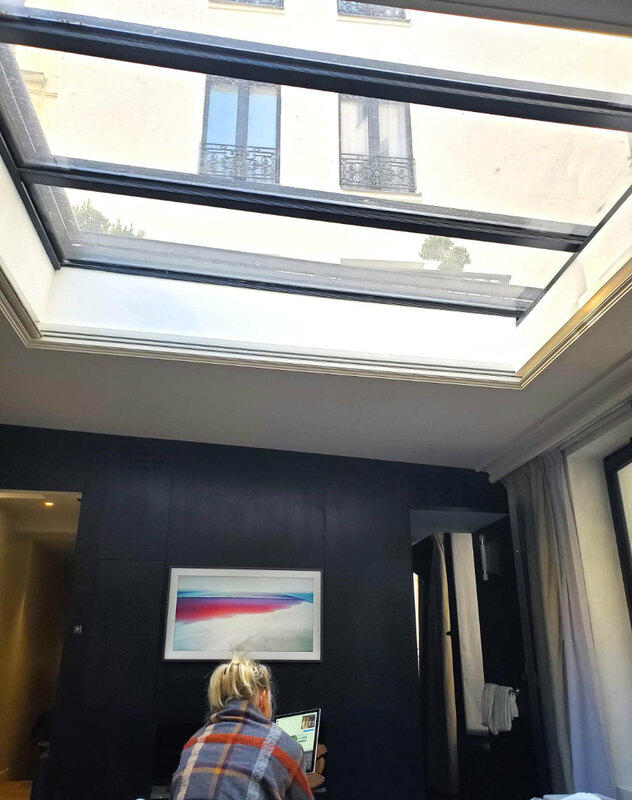 Flanelles has chic art photography for its in-room screen saver, as if you lived in the studio of Atget, Doisneau or Cartier-Bresson. Are you ethically opposed to those single-use plastic packaged amenities? 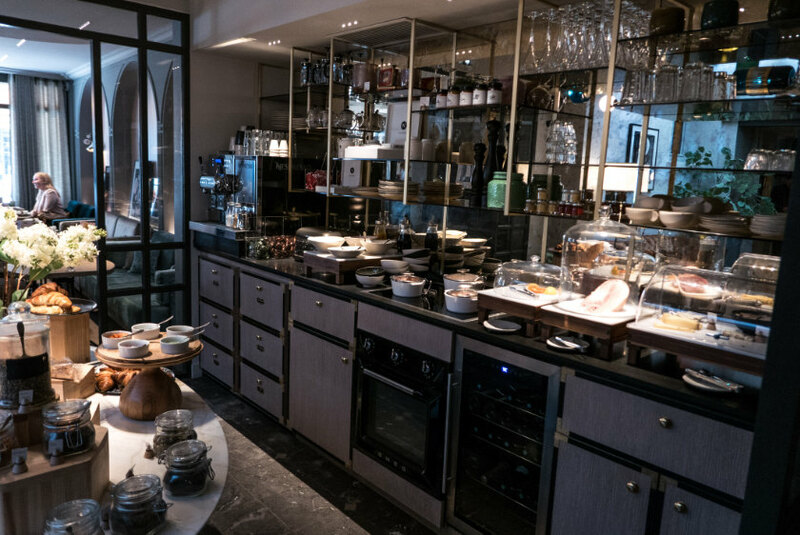 This establishment offers generous vessels of sustainable French products by Prescriptives—the first hotel to collaborate with the respected organic brand. 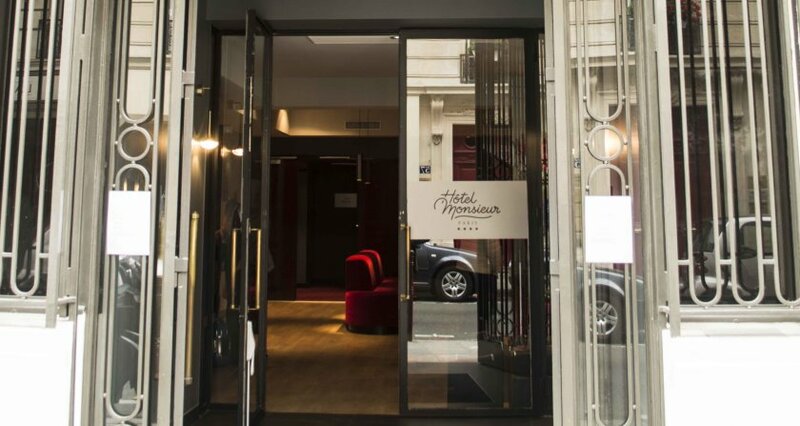 Why not splurge and book the Atelier suite, priced at about €450 a night? 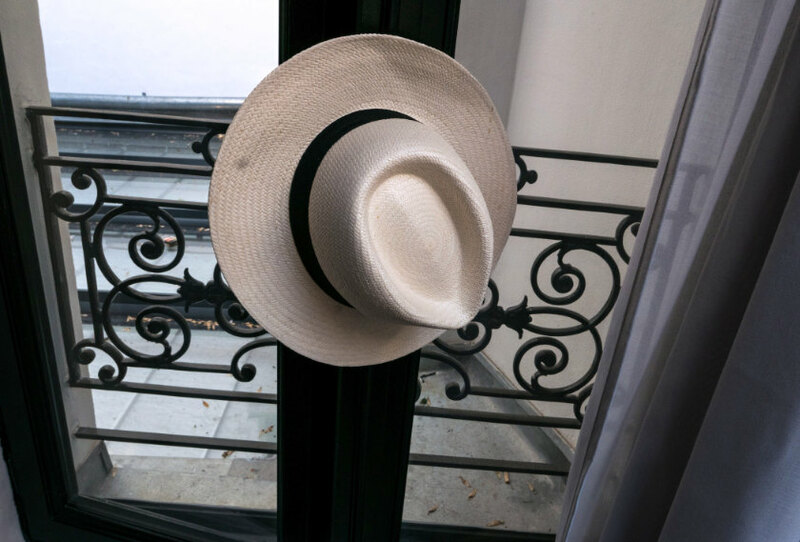 Climb its discreet staircase off the lobby and you’re transported into a skylit 29 m² pied-a-terre with gas fireplace, two-person rain shower and loaner Panama hat ideal for strolling. 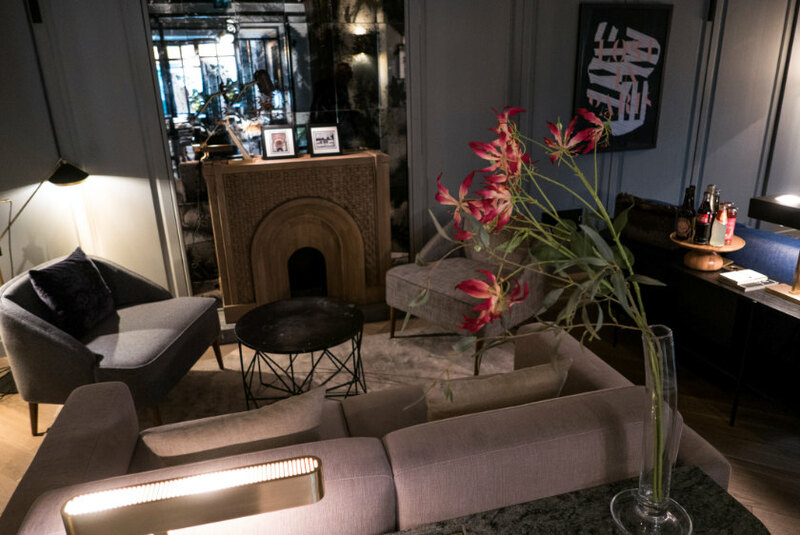 After all, luxury is about the freedom to be your own self, and this little gem of a hotel successfully encourages that reality. Above, from top: Jean Louis La Nuit’s pop-up entrance. 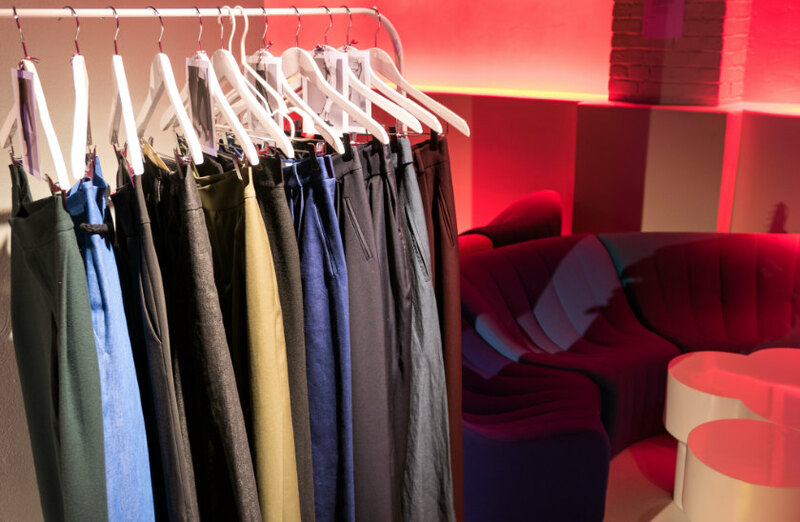 Trousers at Jean Louis La Nuit. Fashionable shirts. Jean Louis La Nuit’s own microbrew bar. Proprietor Lucille ‘Lulu’ Clergerie. Photographer Paula Sweet at Jean Louis La Nuit. 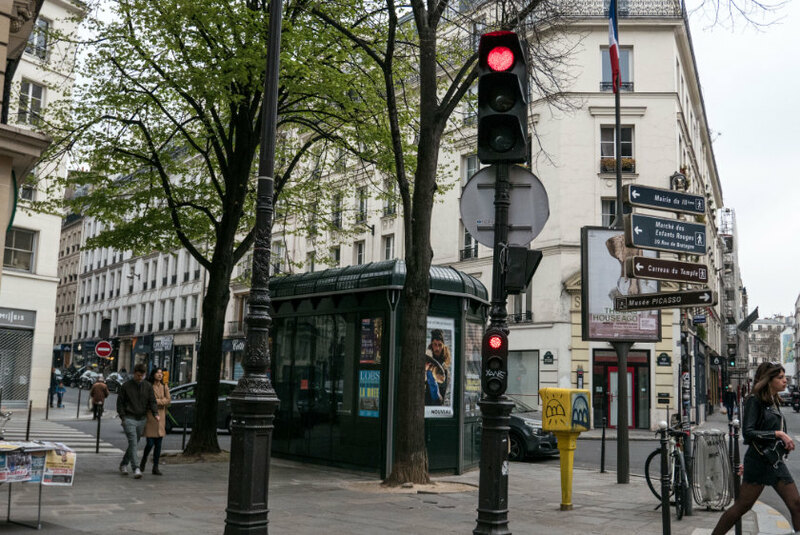 Pop-up stores regularly appear on all sides in Paris. 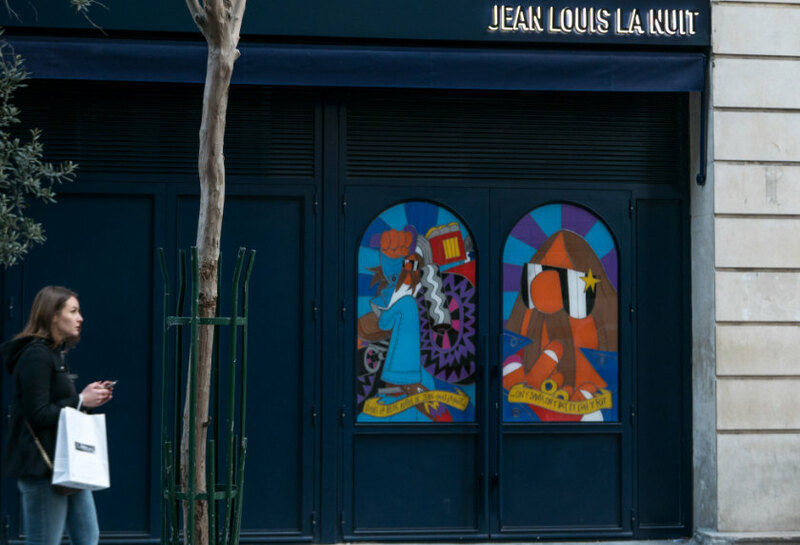 The decidedly edgy Jean Louis La Nuit at 66, rue Jean-Jacques Rousseau has some crazy fashion and design collaborations on display. 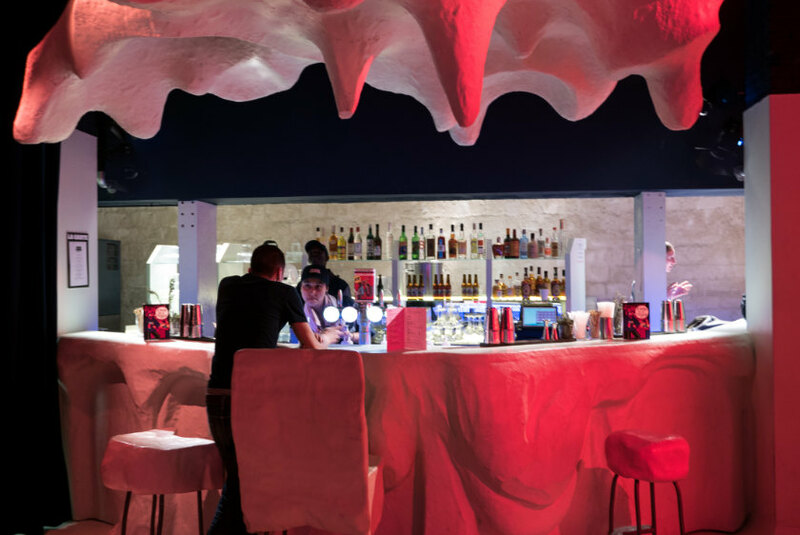 The physical store, housed in a subterranean cavern, features its own DJ and custom microbrew bar. 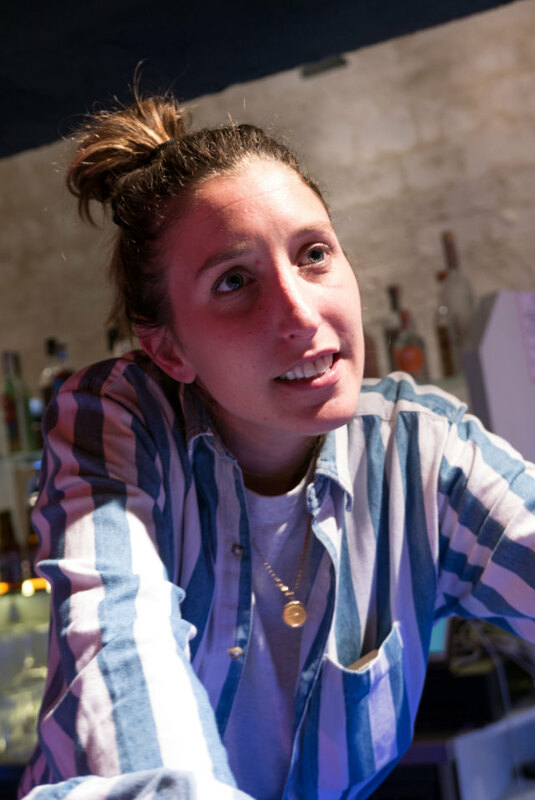 You can get the store’s own app, sip its branded beer, read its branded comic and eshop from its scannable pages, and attend themed after-hours activations populated by young architects, authors and studios. 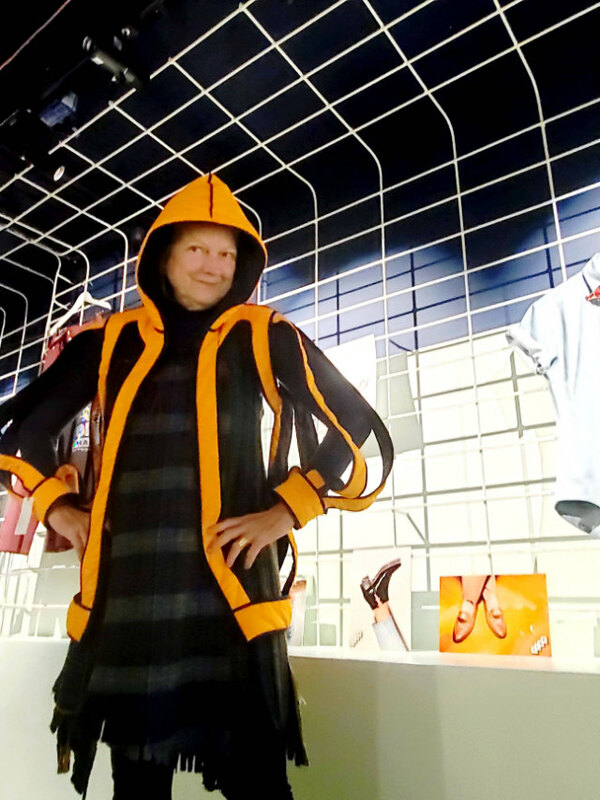 Proprietor Lucille ‘Lulu’ Clergerie presides over a futuristic Orange mécanique-type space with a pulsing heartbeat, open Wednesday through Saturday. 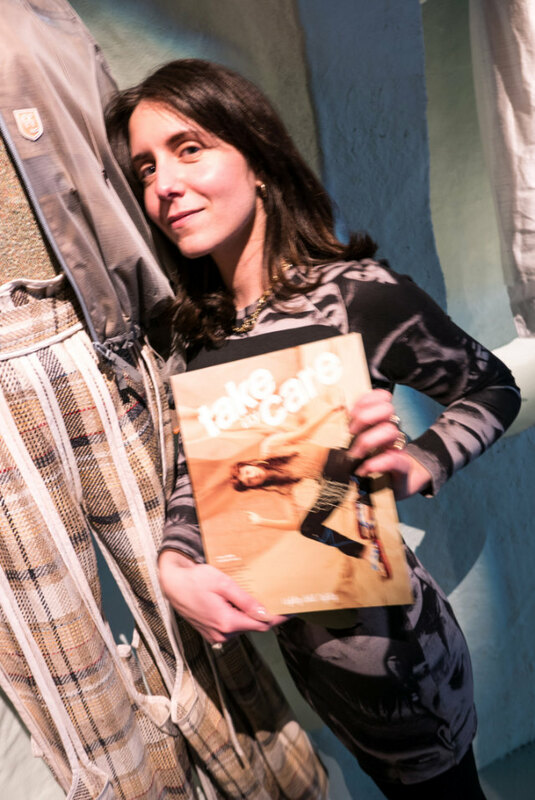 A lot of groundbreaking style ideas get packed into the pages of Take care i.l.y magazine, the brainchild of Aurore Mercadé. 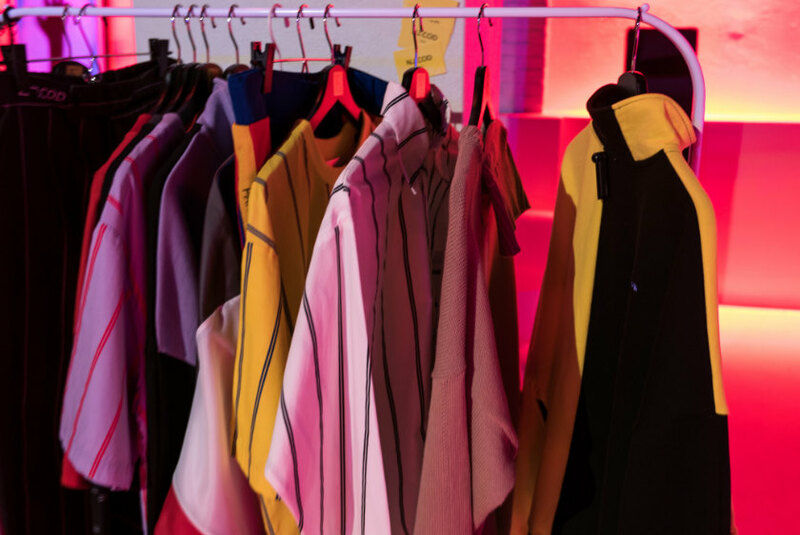 The biannual French–English publication aims to create a research space around fashion. It bills itself as transdisciplinary, and invites artists, authors, journalists, sociologists and researchers to collaborate. Is the wind blowing this direction? More good news regarding Tutto Ponti, the astounding must-see Gio Ponti retrospective, whose run has been extended. This exhibit of Ponti’s work in ceramics, glass, furniture, lighting, architecture and even ocean liners is well worth your attention. At the west end of the Louvre, the Museum of Decorative Arts, 107–11, rue de Rivoli, 75001 Paris, now on display until May 5, 2019. We’re pleased to announce publication of Scarabocchi by Mattia Bonetti, a book of always-surprising scribblings by the enigmatic Swiss designer who lives and works in Paris. Above, from top: Aurore Mercadé and her Take care i.l.y magazine. 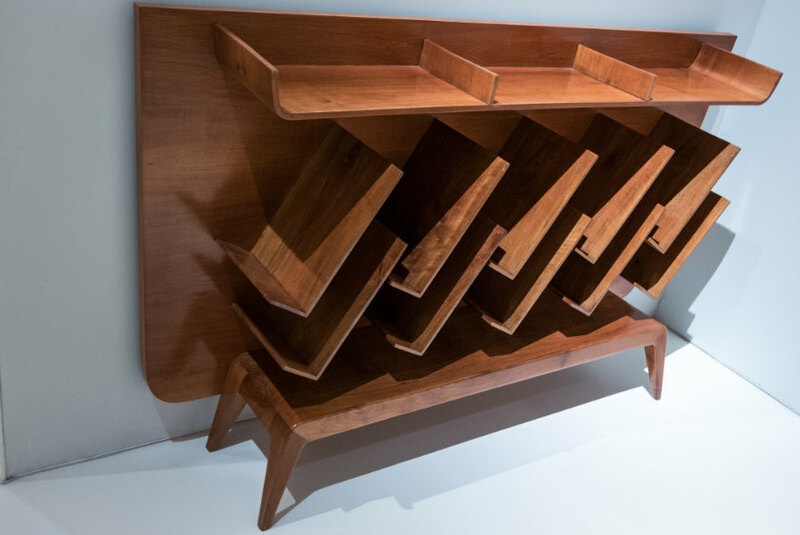 Bookcase by Gio Ponti. 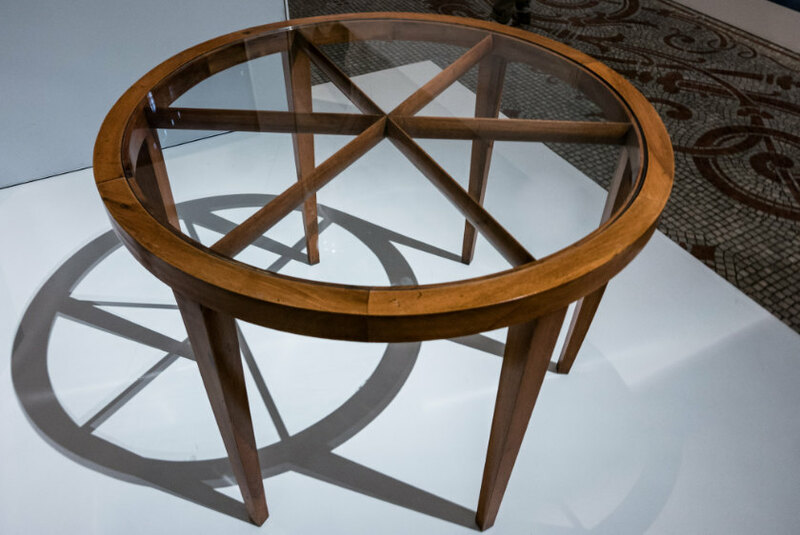 Circular table by Gio Ponti. 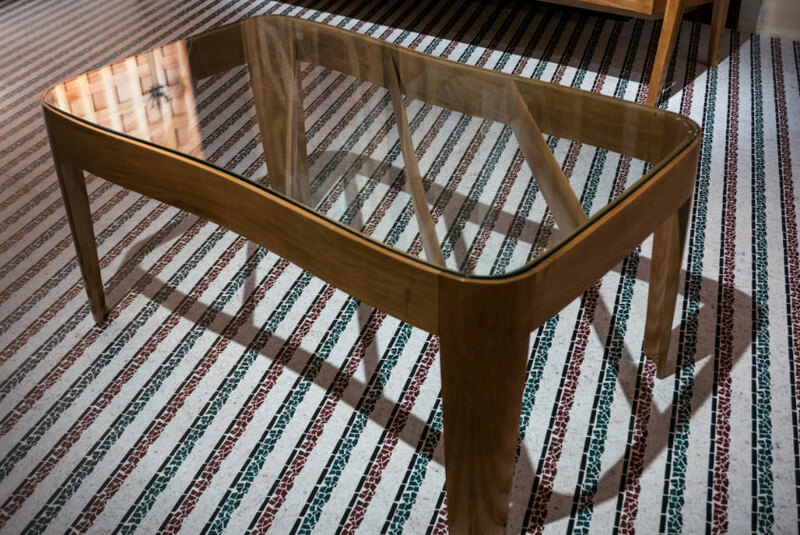 Another table by Gio Ponti. 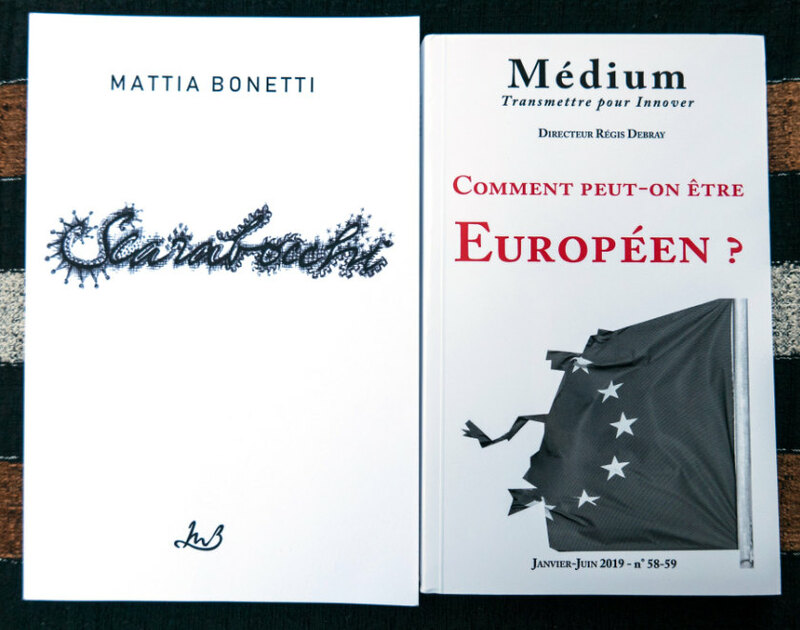 Mattia Bonetti’s Scarabocchi and the author’s piece, ‘Comment peut-on ëtre européen?’, as translated by Pierre d’Huy, in the current issue of Médium.